Within the playing area (15 x 15 meters) place cones and markers as shown in the figure. The distance between the starting cone and the first markers should be 5 meters. The diagonal distance between the remaining markers and cones must be 7 meters. 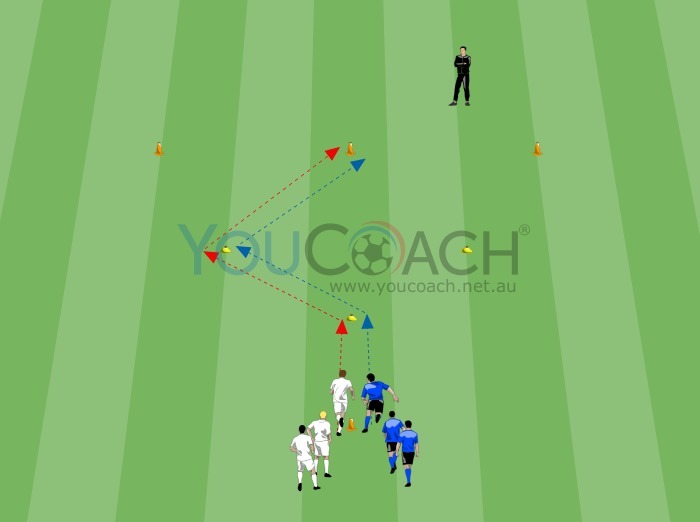 Divide the 10 players in 2 teams, and place them in pairs on the starting cone. 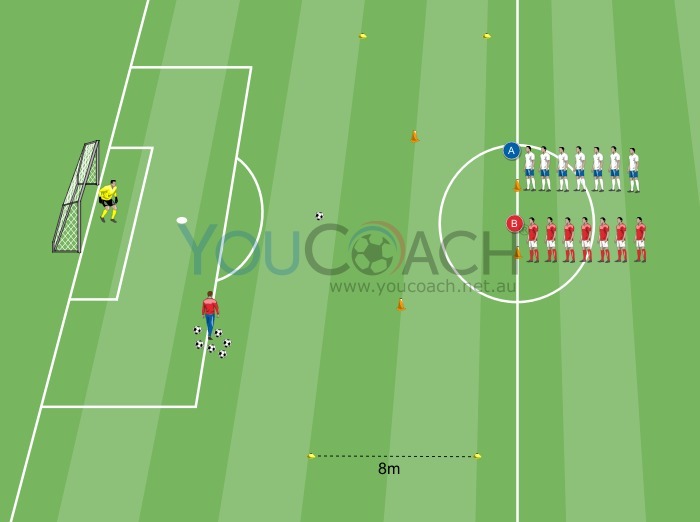 Combination Y-shaped passing practise with "dummy"